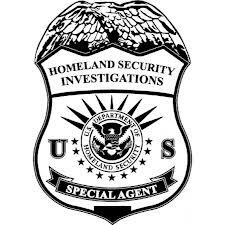 Agents from Homeland Security Investigations, which is a part of ICE, have arrested three individuals*, who have been charged with operating an investment firm that was a $4m Ponzi scheme, targeting Venezuelan investors. None of the entities was registered by FINRA, the SEC or the CFTC. (1) Bancard Financial Services Inc. The defendants presented the victims with a bogus " Lloyd's Bank of London" $2.2m bond as evidence of their solvency. Apparently nobody ever chose to perform due diligence; had they done so, it would have been promptly discovered that not only was there no coverage, but the Lloyd's name was incorrect. The victims offered "high-interest checking accounts" paying up to 55 per month, but paid off early investors with funds received from the later victims, in a classic Ponzi case. They solicited investors through television commercials and free financial seminars. The purported investments were being made precious metals, oil and foreign exchange currencies. The criminal charge was Wire Fraud. The information of this blog is really nice and i really grateful to get this blog information.